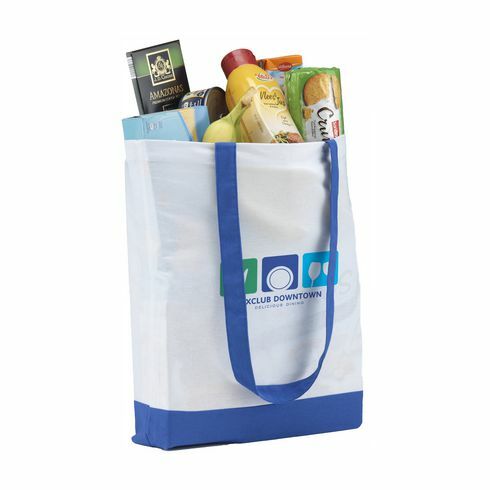 White shopper with colour accent. Made of 100% pliant cotton (125 g/m²). With long handles.